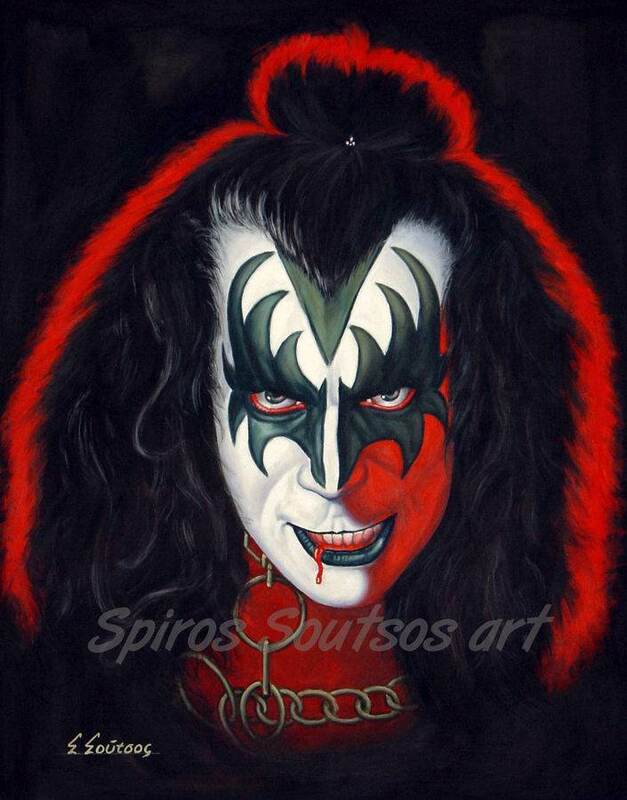 Gene Simmons (born Chaim Witz August 25, 1949) is an Israeli-American rock bass guitarist, singer-songwriter, record producer, entrepreneur, actor, and television personality. Known by his stage persona The Demon, he is the bass guitarist and co-lead singer of Kiss, the hard rock band he co-founded in the early 1970s. Kiss band has sold more than 100 million albums worldwide. Simmons became involved with his first band, Lynx, then renamed The Missing Links, when he was a teenager. Later, he disbanded the band to form The Long Island Sounds, the name being a pun on Long Island Sound. While he played in these bands, he kept up several other jobs to make more money, including trading used comic books. Simmons attended Sullivan County Community College in Loch Sheldrake, New York. He then joined a new band, Bullfrog Bheer, and the band recorded a demo, “Leeta”; this was later included on the Kiss box set. In the early 1970s, Simmons formed the rock band Wicked Lester with Stanley Harvey Eisen (now known as Paul Stanley) and recorded one album, which was never released. Dissatisfied with Wicked Lester’s sound and look, Simmons and Stanley attempted to fire their band members; they were met with resistance, and they quit Wicked Lester, walking away from their record deal with Epic Records. They decided to form the “ultimate rock band,” and started looking for a drummer. 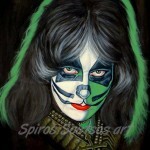 Simmons and Stanley found an ad placed by Peter Criscuola, known as Peter Criss, who was playing clubs in Brooklyn at the time; they joined and started out as a trio. Paul Frehley, better known as Ace Frehley, responded to an ad they put in The Village Voice for a lead guitar player, and soon joined them. Kiss released their debut album in February 1974. 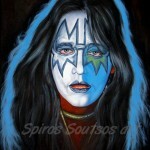 Stanley took on the role of lead performer on stage, while Simmons became the driving force behind what became an extensive Kiss merchandising franchise. The eye section of his “Demon” makeup with KISS came from the wing design of comic book character Black Bolt. In 1983, while Kiss’ fame was waning, the members took off their trademark make-up and enjoyed a resurgence in popularity that continued into the 1990s. At this time, Peter Criss, the original drummer, had decided to leave the band, and a replacement was sought to fill the drummer’s vacancy. 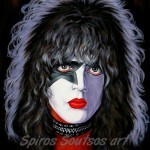 The new drummer was Paul Charles Caravello, who went by the stage name of Eric Carr, and played for KISS from 1980 until his early death at the age of 41 in 1991. The band hosted its own fan conventions in 1995, and fan feedback about the original Kiss members reunion influenced the highly successful 1996–1997 Alive Worldwide reunion tour. In 1998, the band released Psycho Circus. Since then, the original line-up has once again dissolved, with Tommy Thayer replacing Ace Frehley on lead guitar and Eric Singer (who performed with Kiss from 1991 through 1996) replacing Peter Criss on drums.